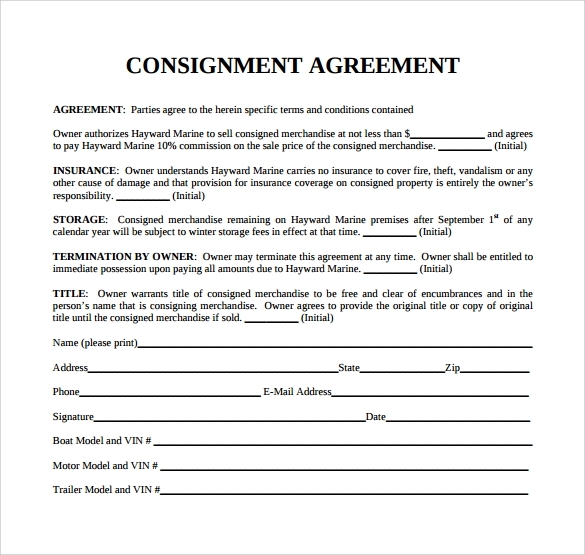 Parties involved in a Consignment Agreements are called the Consignee and the Consignor. 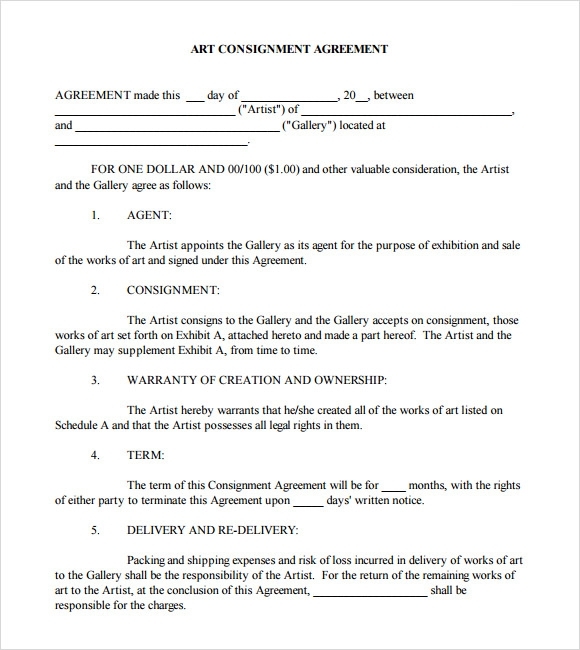 It is a very important document when goods need to be consigned to another party for the purpose of selling. An example of such an agreement is seen in the case of imports and exports. This agreement is recommended as it improves the cash flow of both the parties concerned. Agreement, insurance, storage and termination by the owner are the some points that are included in this template. 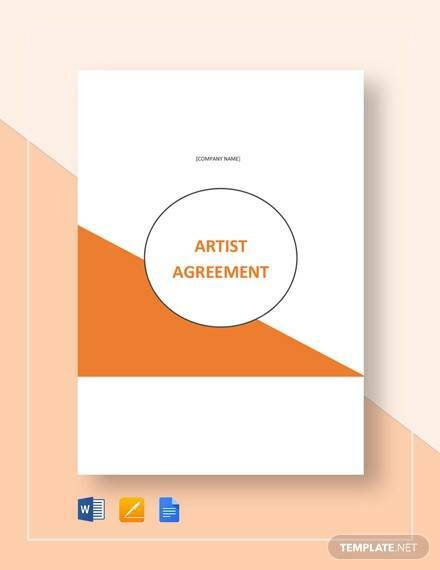 In the first segment of the design, there should be a line which mentions the effective date of signing the agreement and the name of the two parties as well. There are several links provided in this template from which the template can be saved and edited as well. Nature and scope, consignment of the product, title of consignment product, and payment of consigned product are the some points that are included here. 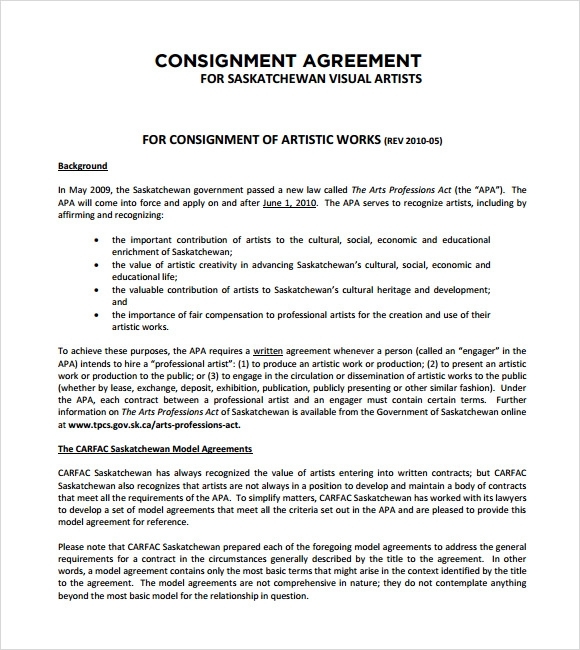 In the top of the agreement there should be a line which mentions the effective date of signing the agreement and the name of the two parties as well. User can easily modify the particular template by using this. Scope of relationship, independent contractor’s consignment and other details are present in this template so that anyone can understand what it contains actually. As this is downloadable and printable so that, anyone can edit this with ease of effort. 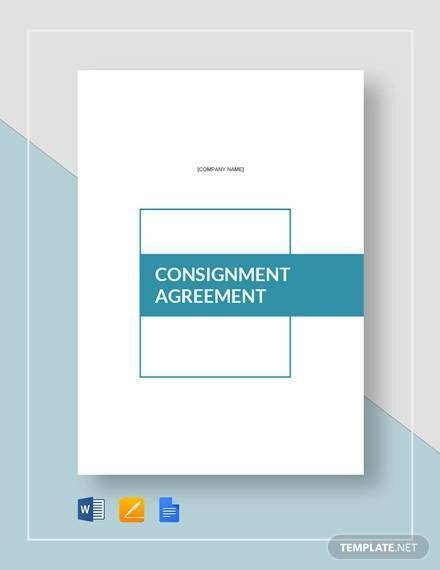 This is available in detailed manner so that you can identify what are the steps that anyone needs to follow for making consignment agreement successful. In the top of this agreement there is a portion where two parties name are listed. 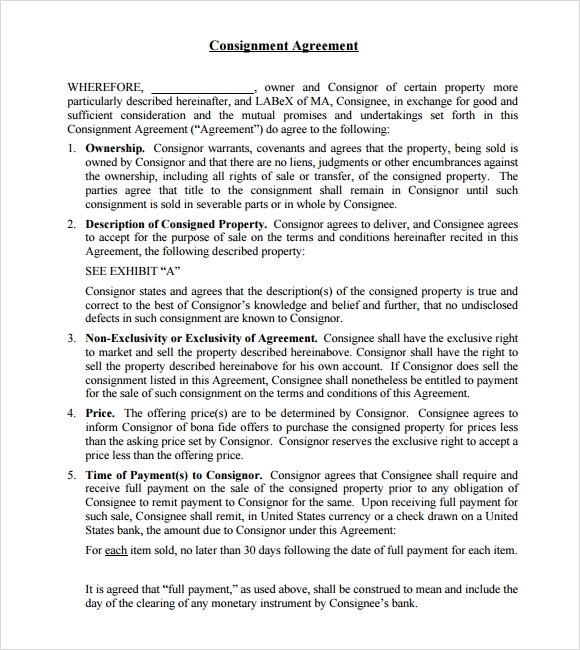 What Are The Reasons To Use Consignment Agreement Templates? This type of template is generally used when goods need to be consigned to another party for the purpose of selling. An example of such an agreement is seen in the case of imports and exports. This type of agreement often found very helpful as this is able to improve the cash flow of both the parties concerned. 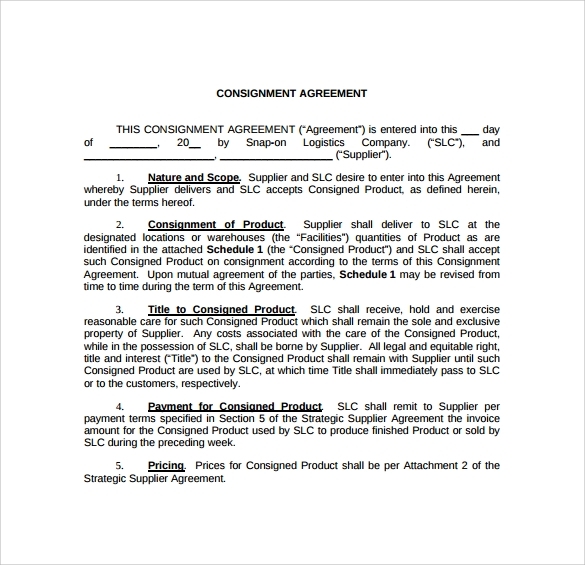 Parties that are involved in the consignment agreement are called the consignee and the consignor. 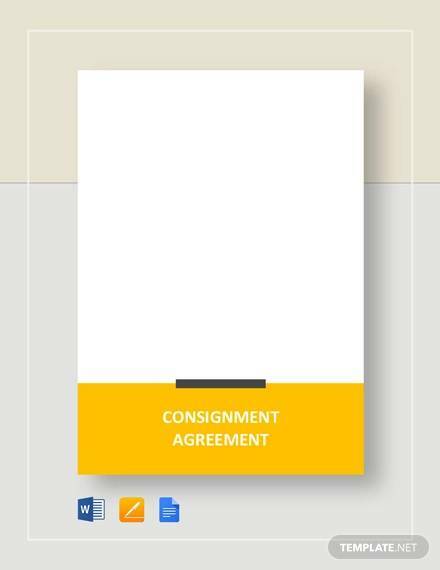 It is signed within these two parties as the consignee sells the merchandise and collects the sales price of the merchandise from the customers. 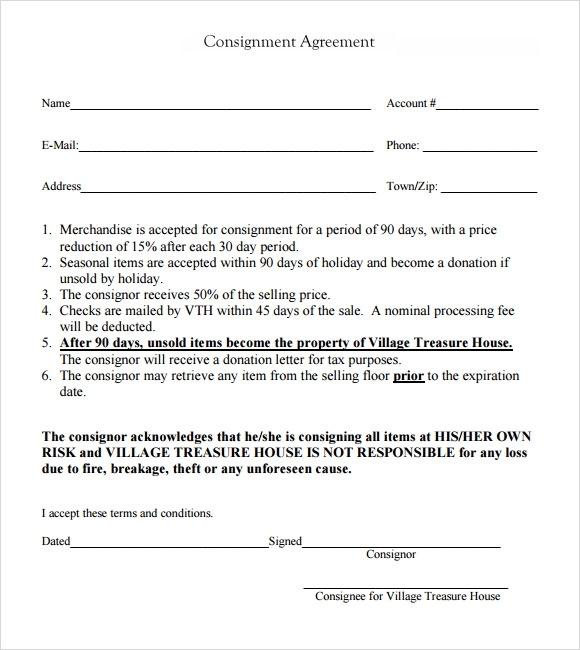 When We Use Consignment Agreement Templates? 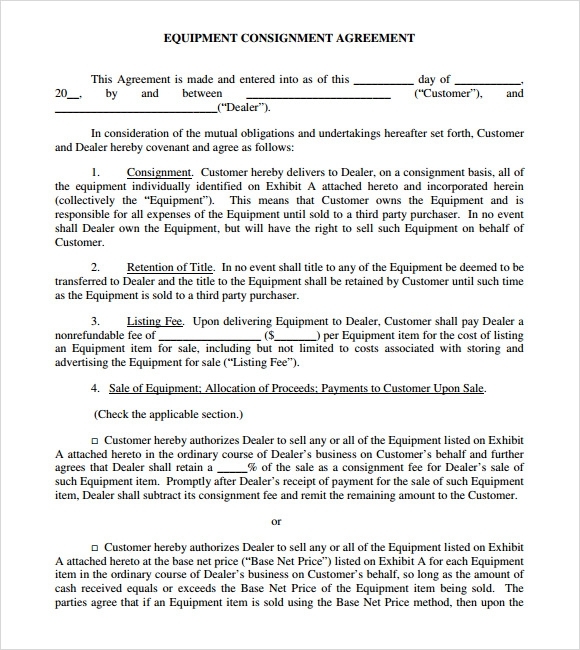 When anybody is dealing with any types of goods and services that are useful for expanding the business then types of templates are used and the agreement is signed. It finds extensive applications when goods need to be consigned to another party for the purpose of selling and widely used in the area of export and import as well. Normally it ensures that, the person named as consignee sells the commodities and collects the sales price of the commodities from the end users. 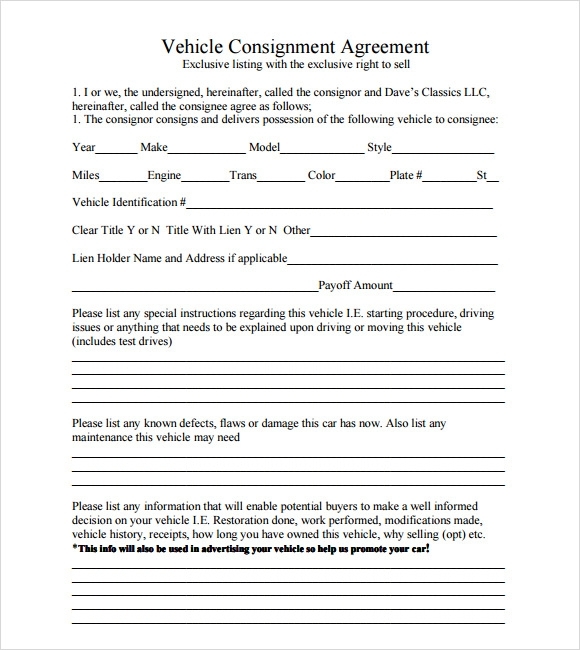 You can also Sample Vendor Confidentially Agreements. There are no such particular steps or guidelines implicated in this process so that anyone can use these types of templates with ease of involvement. In almost all the templates all the details and procedure are written in an organized manner. As a user, just need to keep the name of the two parties corrected and checked before delivering to the other parties as well. With addition to that, deadline for selling the merchandise and the commission rate are the other two factors that are also taken into account as well while preparing any type of consignment. Various types of pre defined template are used for designing these types of templates. This often used in the form of the editable version so that anyone can modify this with ease of involvement. Both parties must ensure that the consignment agreement is formulated very carefully, so no room for doubt is left and the transactions take place smoothly. 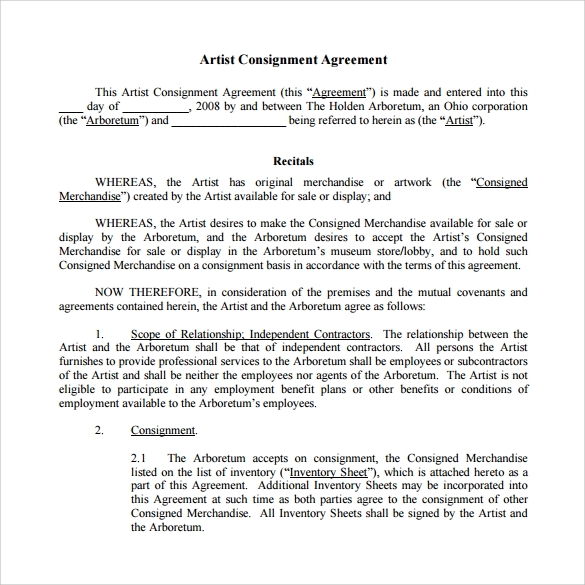 Samples of consignment agreement are available with us which fully cover all of these details. These templates can be used in any format and can be downloaded for free. You can also see Sample Staff Confidentially Agreements.